Once called the "Holiday House", this restaurant was well known for having the freshest seafood in the Bay Area. In 1977 the name was changed to the “Trawler” but the high standard of quality service we provided remained the same. 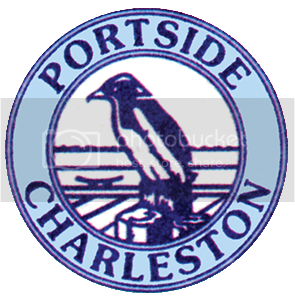 The name "Portside" was finally adopted in 1979. 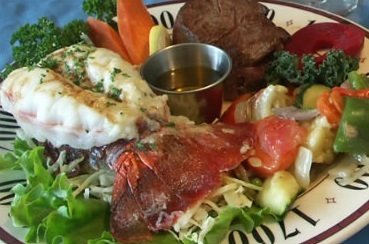 In addition to the fresh seafood menu selections, Gourmet and Northwest cuisine along with prime rib and steak specialties were eventually offered. On another eventful bit of history, the "Portside" was totally rebuilt for your dining pleasure when on October 5, 1993! People from near and far still come to experience what the "Portside" has to offer and we hope for you to be a part of our circle as well. We are located at the mouth of Coos Bay. Just one mile inside the harbor entrance lies the small fishing village of Charleston. With the safest bar on the Oregon Coast, Charleston is home to a large commercial fishing fleet and is one of the largest recreational boating centers on the coast. You can enjoy amazing seafood in one of our fine restaurants, go charter fishing, rent tackle to fish or crab off the docks, or dig for clams. Enjoy a relaxing stroll along the docks and admire the various sea-going vessels. Only minutes away, visit "Sunset Bay", "Shore Acres", "Coos Head", or "Cape Arago. For more information, or to make a reservation, call us at 541-888-5544 today! You can also reach on by email at: joetang2@gmail.com. Be sure to visit our website and like us Facebook. 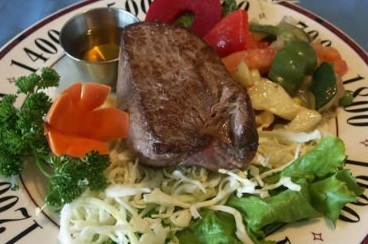 So for the best experience near the Pacific Ocean, stop by The Portside Restaurant today!